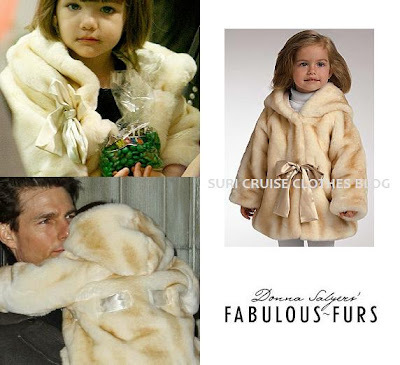 Suri Cruise Clothes Blog: Used in the Past: "Donna Salyers"
Used in the Past: "Donna Salyers"
It is incredible but for more than 1 year I have searched this beautiful FUR COAT. 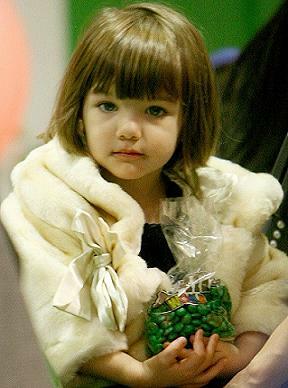 Can you believe that Suri wore it on November 29, 2008? ... Well, yes. Elsewhere, it said belonged to the french brand Monnalisa but the information is completely incorrect. The FUR COAT is a creation of renowned designer Donna Salyers, who for years has been in charge of preparing the costumes for Hollywood and Broadway. But best of all is that although it's been almost 2 years since Suri used this FUR COAT, is still available!!!!! !